Jump Jump 2018 is easy to play, but very hard to get high score, play this fun game with your friend or family. Jump and jump to the highest level possible, challenge your friends to see if they can beat you. 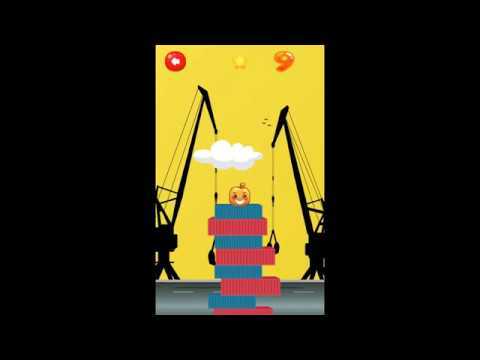 Jump to stack up the blocks and build the highest block imaginable! This game safe for all kids to play. Warning: Jump Jump 2018 maybe an insanely addictive game that you have never played before! All you need is tap tap and jump and jump to achieve the highest score. Jump Jump is a simple game but it will give you a lot of emotions when playing game in 2018. You will have great moments with your friends and family, sharing your highest achievement for everyone to challenge them to be able to beat you. Let jump and show them that you are the highest jumper by continually conquering new heights. Tap to jump and achieve the craziest scores. Try your best to get the highest score. Please leave your comments and rating so we can develop better games. Thanks very much.